Dates: 24 Hour event, May 27th 6PM to May 28th 6 PM, preparing for or participating if unable to attend outside the dates are welcome, just post logs here. The Convivial of the Communion is a religious celebration and feast to commemorate the Paragon of Communion. It serves as the beginning of the 2nd Trimester of the Sacred Calendar (June – September). On the 27th, it is believed the holy spirits are more attuned with the mortal world, benefiting the Communion with the Paragons. It is a time to feast and pray. As prayer and feasting lasts through the night, the holding and carrying of candles are associated with this feast. To ward off Cattivio and to invite in the Bene Visitante. It is a festival in Matora. Celebrated all night long, strands of blossomed spring flowers in garlands adorn the streets and buildings. Musicians play throughout the night all over the city and stiltwalkers and jugglers of fire are very common entertainers as well. Athletic challenges are very popular during this festival, to show vitality among the younger individuals, building on any romances started in the spring. From wrestling to races and other such games, its not uncommon to challenge rivals to tests of physicality. 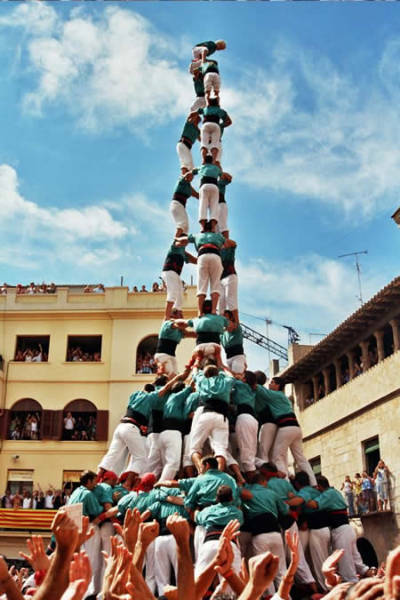 The Houses tend to compete in a 24 hour long stacking/towering event, where members of the houses stack on each others shoulders, in opposition with another house. This stacking is symbolic of the Communion with the Paragons. Two houses compete at a time in locations around the city, and lean upon the rival until one stack falls. The final two houses compete in the Piazza del Viatora on the 28th before the final feast to close out the festival. Each house competes in the human towers, with the winner being sort of champion of the festival, honored at the closing feast. Winning this competition will earn the winning family 20 House Reputation as well as 1 commodity of choice. The other team in the final will earn 10 House Reputation. This is an elimination style event, it ICly starts at 6 PM on the 27th, but to accommodate all houses, each round may be run at a time when the two houses can compete. For each round, to determine a winner, each house elects three players to roll three separate skills; manipulate, stewardship, and tourney. This relates to getting bodies together, coordinating them and keeping the play fair. Winning 2 of those three moves a house into the next round.